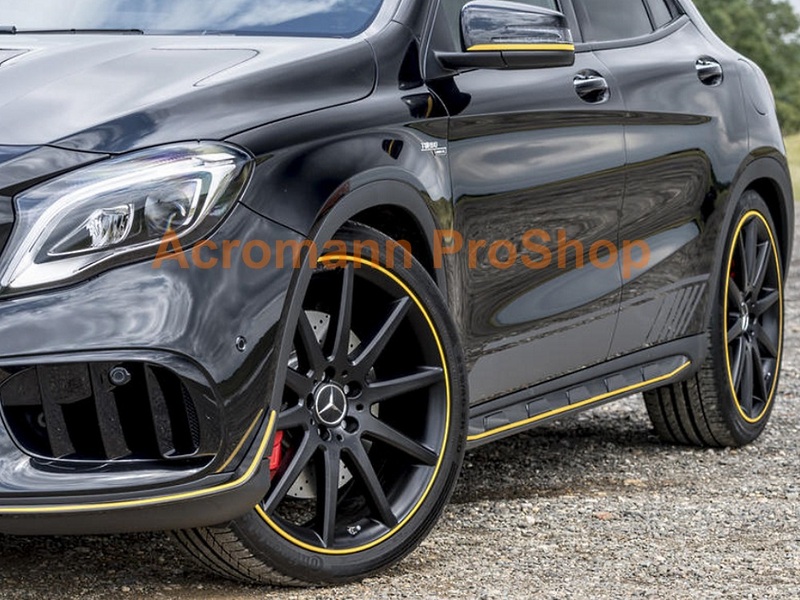 AC Schnitzer Mini Cooper S multi-color side stripe decals, a pair for LHS & RHS (2 pcs), approx. 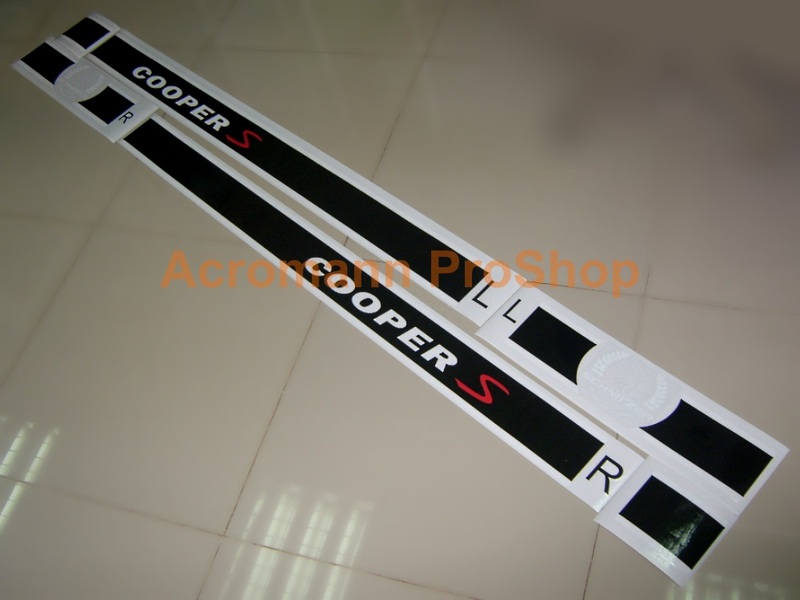 72inch (183cm) (L), suitable for R53, R52, R56, R57, R58 models - Standard Color: BLACK middle stripes (top - main color), WHITE stripes logo graphics (middle) & RED "S" letter inside (bottom) - Decal does not have background - These decals are computer die-cut, highly detailed graphics which made by high quality vinyl material - They can last up to 5-7 years under any weather condition - The Decals are supplied complete with transparent application tape, just peel and stick !! *Remarks: (1) Any special requirements other than our available options, email to us & ask ! (2) Gallery pics are for reference only ! Actual product size may vary from pics shown. Pls refer to the item description here for dimensions details !